OL were unable to overcome third-placed Nice. 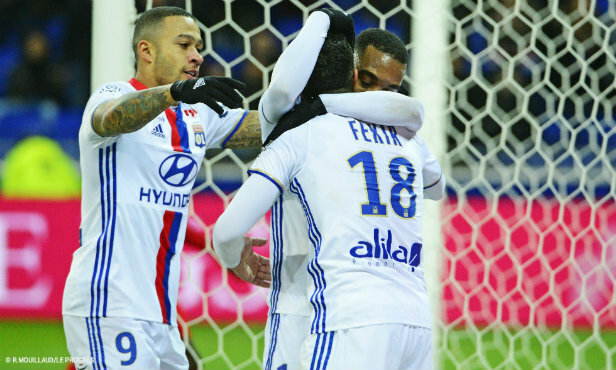 Lyon lost their lead thanks to a second half penalty in the last second of a dead rubber. The most notable thing about this last outing of the season were Alex Lacazette’s 99th and 100th league goals. 2’. Lopes saves Dalbert’s long range shot. 9’. Cardinale saves Fekir’s swerving shot. 10’. Own goal from Le Marchand off a deflected Memphis strike. 1-0. 15’. Donis shoots into an open net. 1-1. 45+3’. Donis misses the goal from an acute angle. 48’. 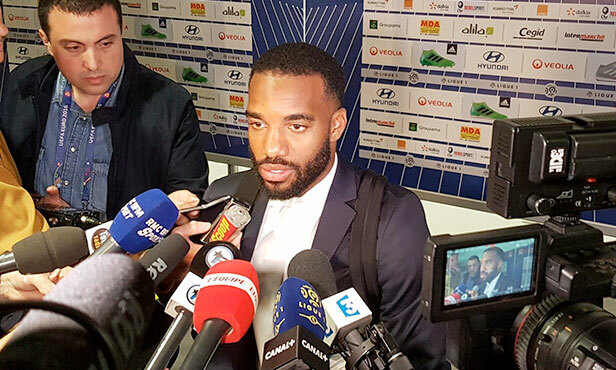 Lacazette sends Cardinale the wrong way to score. 2-1. 69’. Donis scores at the end of a perfectly played counter attack. 2-2. 77’. Cornet’s powerful header goes just over. 78’. Tolisso sets Lacazette up to score. 3-2. 90’. Lopes saves Pereira’s shot. 90+2’. Seri converts a penalty. 3-3. 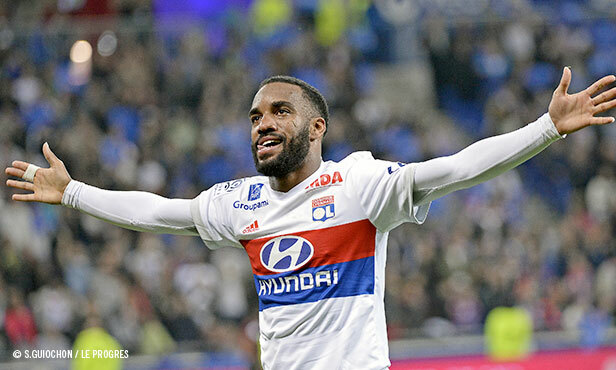 Finishing the season on a positive note, the 100 league-goal mark for Lacazette, a farewell to some players… the stakes were all but points-related for OL when they hosted Nice, who didn't have much to gain either. The two teams nonetheless put on a show from the start. Memphis, ably assisted by Le Marchand's knocking the ball into his own goal, opened the score before Nice equalised shortly afterwards when they took advantage of Lopes’ misjudged venture off his line. These sequences were part of an intense few minutes before the pace really dropped off… and didn’t pick up again until the break. 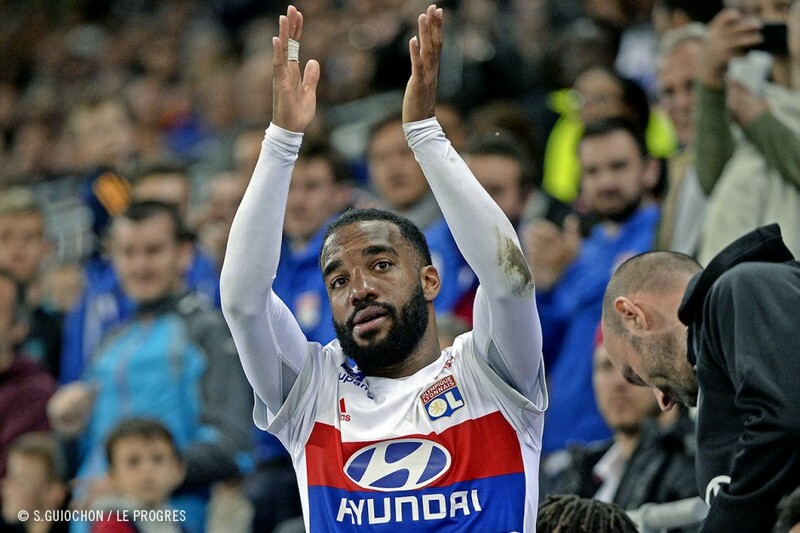 After coming back from the change rooms, the insuppressible Lacazette got things going again. He sent Cardinale the wrong way after controlling perfectly to write a new chapter, maybe his last, in his adventure with Lyon. Donis, once again, wanted to spoil the party at all costs and restored parity 20 minutes from the whistle. But the Lyon number ten had no intention of letting things stay like that. Supplied by Tolisso, Lacazette scored his 100th league goal. It was the moment that the whole team, the whole stadium and the general populace had been dreaming so much of these last few days. The referee decided to give the evening another twist when he whistled for a penalty for Nice that Seri converted in the game’s last second… The evening could’ve been perfect but it was nonetheless richly emotional, just as the season was. La saison se termine ! We’re in the 87th minute of play when the number ten appears on the fourth referee’s notice board. Bruno Genesio had decided to call his marksman off and give him the moment he had dreamed of: the huge ovation from a stadium blown away by Alex Lacazette’s performance, who had already had time to notch up another brace and reach the 100th league goal mark. His team mates celebrated him before this record-breaker had a warm embrace with his coach. One of the nicest images of the evening. 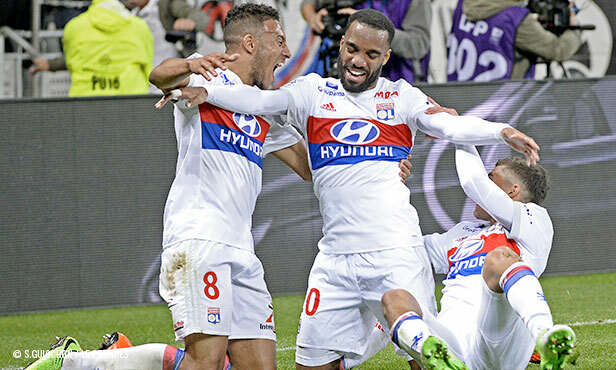 Lyon waited for the last home game of the season to share the points with their opponents. This draw against Nice is the first of the season in Ligue 1 at the Parc OL. The last took place on 15 April 2016… and was also against Nice (1-1). 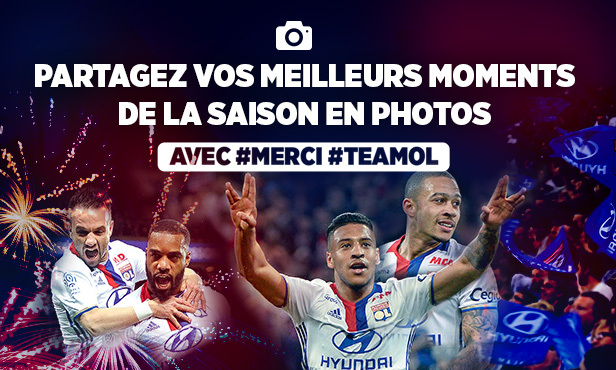 Since that date, OL have won 14 matches and suffered four losses on their home ground in the league. L1 (Wk38): OL-Nice 3-3 (1-1). 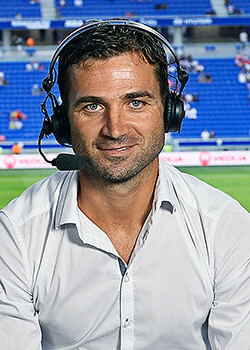 Referee: Jérôme Miguelgorry. Attendance: 50 080. Goals: Le Marchand (o.g. 10’), Lacazette (48’, 78’) for OL. Donis (14’, 69’), Seri (90+2’) for Nice. Yellow cards: Seri (12’) for Nice. 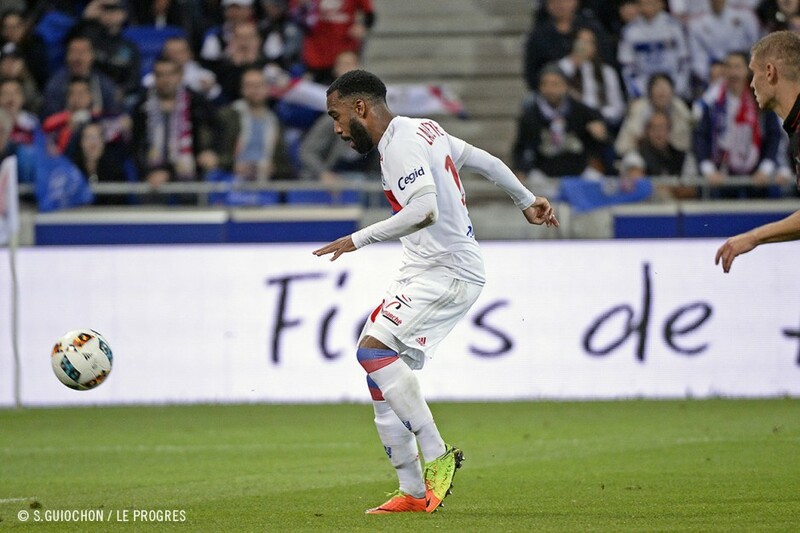 OL: Lopes – Jallet, Nkoulou, Diakhaby, Morel – Gonalons (cap. 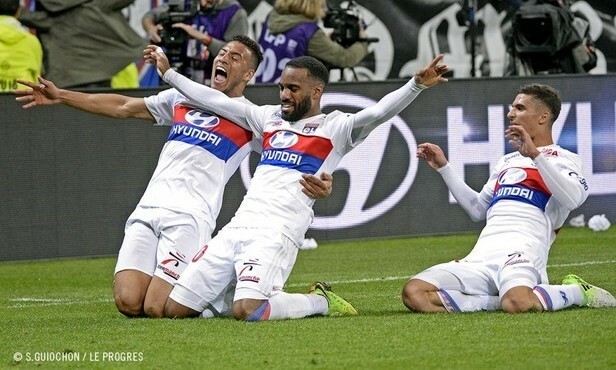 ), Tolisso – Memphis, Fekir (Aouar, 67’), Valbuena (Cornet, 76’) – Lacazette (Ferri, 86’). Coach: Bruno Genesio.